Use sparingly! This TITAN Scorpion powder is full of heat and taste. 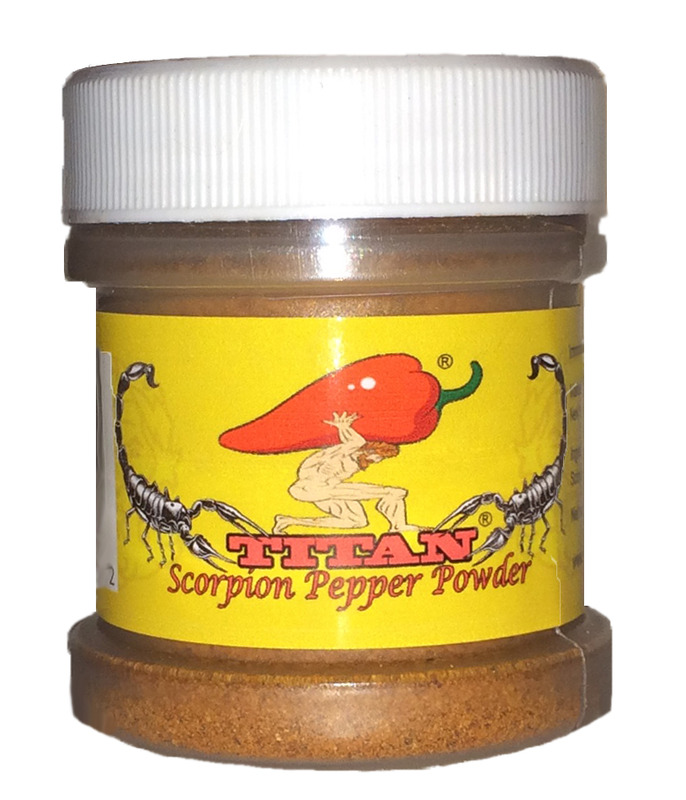 TITAN Scorpion Pepper Powder has blinding heat that can last for several minutes or more . Do NOT eat directly. The scorpion pepper has been grown to an average of 1,200,000 scoville units, now thats heat! Great for chili's or use it to add heat and flavor to any dish. Each bottle has a built in sifter for easy application. Do not eat if you have a heart condition, respatory condition, are pregnant or under the age of 15.